This building is the Indian station since 1 July 2008. 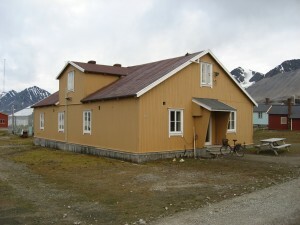 During the mining days it was the school for the children living in town. The old school has laboratory space downstairs and appartments upstairs. I lived there from 1990 til 1993, before the building was renovated.